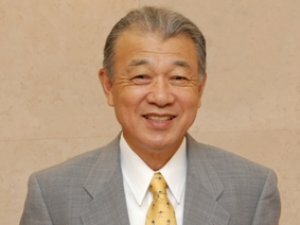 The Council of the International Maritime Organization (IMO) has decided to award the prestigious International Maritime Prize for 2014 to Yohei Sasakawa, Chairman of the Nippon Foundation. The Council of the International Maritime Organization (IMO) has decided to award the prestigious International Maritime Prize for 2014 to Yohei Sasakawa, Chairman of the Nippon Foundation, for his contribution to the work of IMO over many years and, in particular, his personal commitment to supporting the development of future maritime leaders and his contribution to the enhancement of safety and security in vital shipping lanes. In particular, the Council noted Sasakawa’s long-standing dedication to maritime education and training through the initiatives of the Nippon Foundation and its unstinting support to the World Maritime University (WMU), based in Malmö, Sweden and the IMO International Maritime Law Institute (IMLI) in Malta. Sasakawa was born in Tokyo, Japan, and joined the Nippon Foundation as a trustee in 1981. He served as President from 1989 and became Chairman on 1 July 2005. The Nippon Foundation is a private, non-profit foundation whose mission, through social innovation, is to achieve a society where all people support one another. Its overall objectives include assistance for humanitarian activities, both in Japan and overseas, and global maritime development. In nominating his candidature for the International Maritime Prize, the Government of Japan drew attention to Mr. Sasakawa’s leadership of the Nippon Foundation’s efforts to improve the quality of maritime experts around the world by supporting the WMU. Since 1987, the “WMU Sasakawa Fellowship”, sponsored by the Nippon Foundation, has offered a two-year Master’s degree programme. Mr. Sasakawa has personally devoted himself to establishing the Sasakawa Fellows’ network, now numbering 543 people from 64 countries, to facilitate international maritime cooperation. Mr. Sasakawa has also worked with other international institutions, including IMLI and the International Tribunal for the Law of the Sea. His dedicated efforts, leading to the development of ocean-related capacity-building programmes around the world, have produced more than 1,000 graduates from 128 countries. In the field of maritime safety and security, Mr. Sasakawa has been instrumental in supporting the establishment of the Cooperative Mechanism in the Straits of Malacca and Singapore, through which Governments and industry work together to protect the environment and enhance navigational safety. Mr. Sasakawa has also facilitated port State control through various forms of support from the Nippon Foundation, including funding to establish the Memorandum of Understanding on Port State Control in the Asia-Pacific Region (Tokyo MoU). This support has helped strengthen PSC activities in the region, enhancing the effective implementation of IMO instruments. Mr. Sasakawa has also led the Nippon Foundation’s support for coastguard activities, including an annual regional meeting for heads of Asian coast guard agencies and a training programme for prospective Asian coast guard leaders. The Nippon Foundation’s support for research and technological development projects on maritime safety and marine environment protection have been led by Mr. Sasakawa. Providing research and development project outcomes as common property for the industry has helped towards the development of standards on emissions from ships. Research on the Northern Sea route, in collaboration with institutions in Norway and the Russian Federation, has been shared with the international maritime community, thereby directly contributing to the development and subsequent adoption by IMO of the International Code for Ships Operating in Polar Waters (Polar Code).